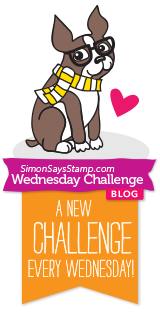 It's almost 1.15am & am attempting to schedule my post due to working on Wednesday but my eyes are fighting me to shut & get some longed for sleep! 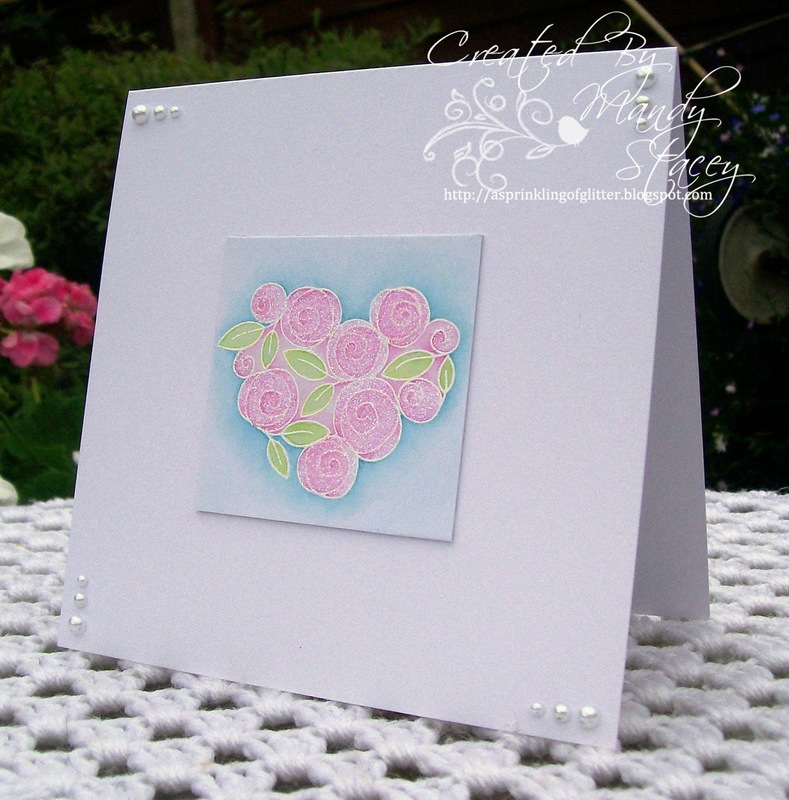 When you see my card this week you may well wonder what has happened as I have actually managed to create a proper CAS card! 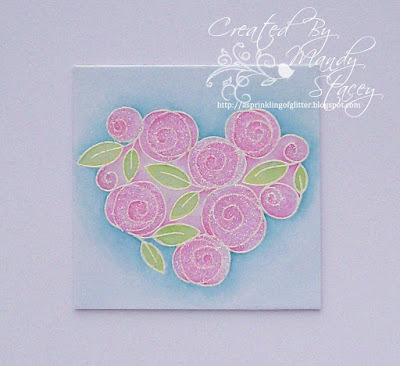 On today's card I have used Simon's lovely heart flower stamp from the "Roses For You" stamp set and I have coloured it with distress inks for a change & finished off with a little sparkle. 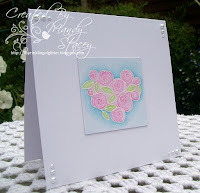 Your eyes aren't deceiving you I have at last created a Proper CAS card now & I'm sure those who know me will be shocked at how CAS I have gone this week as I always end up adding more to my card, but I have finally learned to leave it alone! 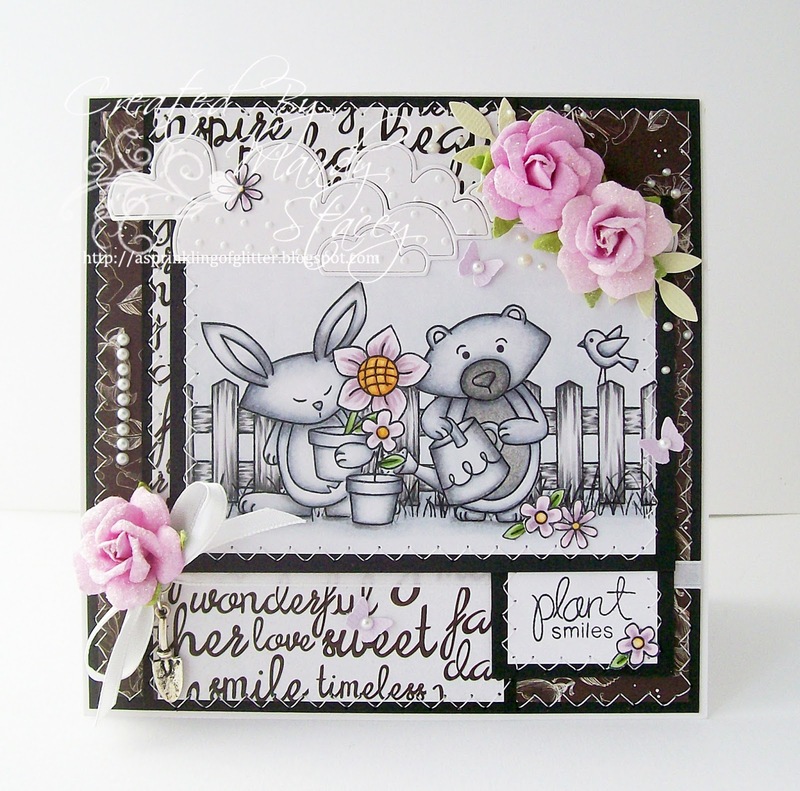 Not Just Cards - anything goes. 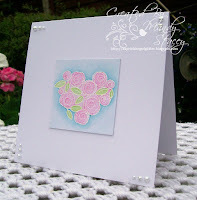 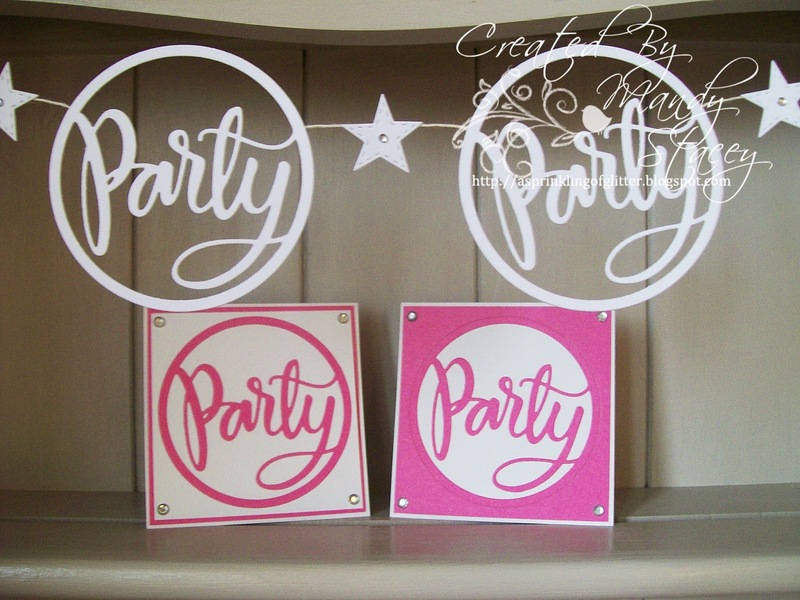 Creative Moments - anything goes, Inspiration Destination - anything goes, The Crafty Addicts - anything goes, Through The Craft Room Door - anything goes. 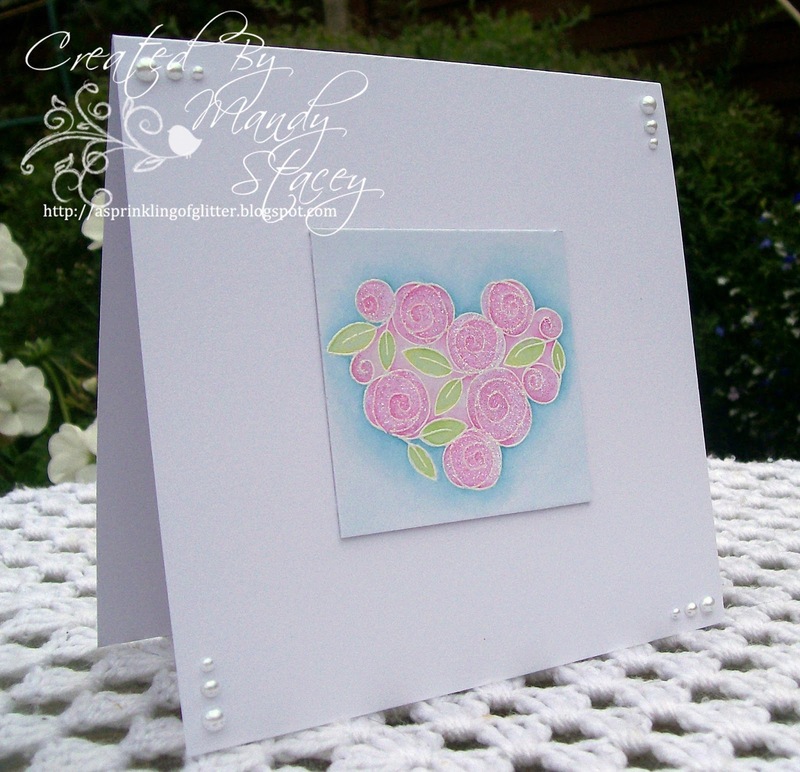 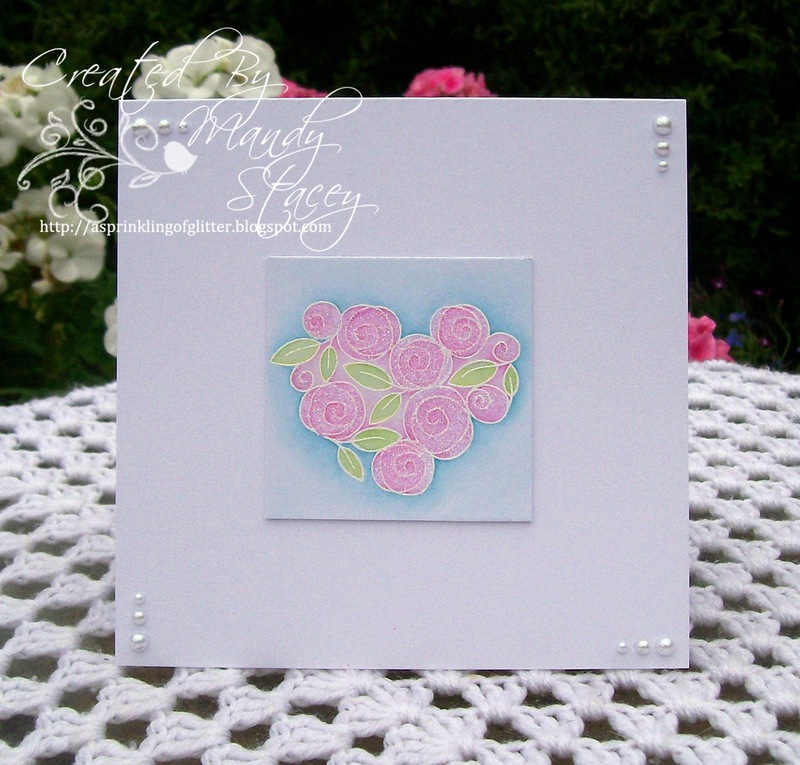 Such a feminine card, Mandy - love the soft colors! 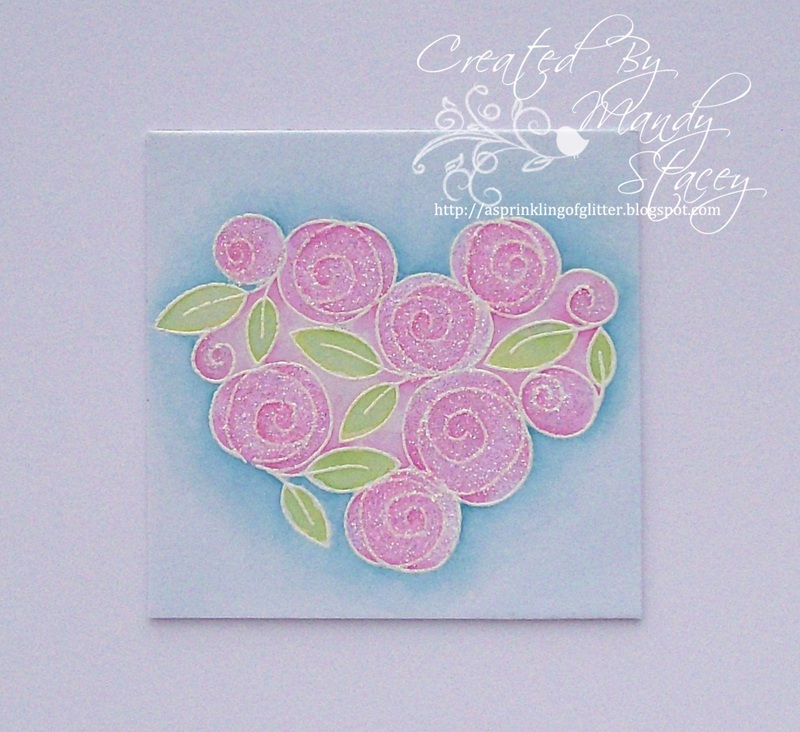 Beautiful, soft, wonderful CAS card!